Challenging driving conditions are certainly not uncommon in Canadian winters, particularly during snow storms and other inclement weather conditions. Municipalities are obligated to maintain highways and roads in accordance with guidelines established under the Minimum Maintenance Standards (MMS), but the need to inspect for dangerous road conditions and address snow and ice accumulation is particularly high during a winter storm. At the same time, there is an onus on drivers to adjust their driving for the given conditions, particularly by driving at a slower speed. If someone is injured in a collision and a claim for damages is brought against the municipality responsible for road maintenance and the defendant driver, the courts must assess the negligence of each of the defendants, in having contributed to the plaintiff’s injuries. A common thread in fault determination for any accident, including collisions that occur during winter road conditions, is whether the defendant driver was driving at an excessive speed. On snowy or slippery roads, even driving close to and within the speed limit may be deemed ‘too fast’ and may result in a finding of contributory negligence. In Thornhill v. Shadid, the Ontario Superior Court was tasked with determining liability for the defendant municipality and defendant driver, in a serious car accident that resulted in permanent injuries to a young woman. On Christmas Day, a 30-year-old mother left her home to purchase medications for her ill child, when she was involved in a serious car accident resulting in multiple fractures to her ribs, arms, legs and shoulder. The accident occurred while the woman, Nadine Thornhill, was driving in her Toyota Tercel, westbound on Green Lane in Newmarket, when a Jeep Cherokee travelling eastbound spun out of control and violently crashed into her vehicle. The impact of the crash forced the Toyota’s engine and dashboard into Ms. Thornhill’s right knee. Among her many injuries, the injury to Ms. Thornhill’s knee was particularly severe and parts of the knee were sheared off. After six knee surgeries, the injured woman now has permanent limitations and arthritis in her knee joint, and will require additional surgeries in the future, including knee replacement. In Thornhill v. Shadid, Ms. Thornhill named the Jeep driver, Mr. Shadid, and the Regional Municipality of York as negligent in causing her injuries. A snow storm hit southern Ontario on the day of the accident, with snow falling all day beginning around 6:00 a.m. until almost 6:00 p.m, and temperatures were from -1 to -6 Celsius. The defendant, Mr. Shadid, alleges that the loss of control of his vehicle and the losses to the plaintiffs was caused by York’s failure to maintain Green Lane to a reasonable standard of safety. York, on the other hand, argued that it met the minimum maintenance standards (MMS) and that there was, in fact, no state of non-repair on Green Lane, but even it failed to meet MMS, the municipality alleges it did not know and could not have been expected to know of a state of non-repair. Green Lane experiences the highest volume of traffic in the Sutton district, and is categorized as a ‘Class 1’ road with respect to requiring the highest standard of maintenance under MMS. Yet, when a moderate snowstorm began at about 6 a.m. on December 25th, no patroller inspected the condition of this busy access road until as late as 4:30 p.m., almost one hour after the accident occurred. It was at this point that York police closed the road due to slippery conditions and plowing finally occurred. At that time, the road was covered by 6 to 7 cm of slush and snow, and several witnesses testified that the road was slippery and slush/snow covered. The state of the road created significant risks of hydroplaning on a downgrade and a loss of control. The MMS states a requirement of remedying a hazardous condition “as soon as practicable”, yet the depth of slush and snow were twice the 2.5 cm maximum specified under MMS. The trial judge determined that York did not, in fact, clear the accumulating snow and slush as soon as was practical. Also, the plow operator testified that he salted the road while snow was falling and before the road was plowed and then plowing was not done for at least 4 or 5 more hours afterwards. Yet, it was noted that it is irregular, if not improper to salt without first plowing. All told, the trial judge placed little confidence in the operator’s verbal or written statements as there were numerous discrepancies and errors in his testimony and written report, and the judge concluded that the operator’s “primary interest was personal, getting off for Christmas, and not doing his duty”. It was concluded that, both due to inadequate patrolling and non-compliance by the plow operator in following York’s plans for clearing snow, the municipality failed to meet the MMS requirements. The act of applying salt in the midst of a snowstorm while temperatures were below freezing, without timely plowing, also contributed to the state of non-repair and risk of harm to the public. 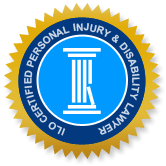 The impact between the defendant’s Jeep and the slow-moving plaintiff’s vehicle was severe, and the fact that the Jeep is substantially heavier than the Tercel contributed to the severity of the impact and the plaintiff’s injuries. There was some discrepancy in the defendant’s testimony as to the speed he was travelling from his discovery testimony to cross-examination, varying between 50 and 60 kph. However, under cross-examination, the defendant admitted that he was not driving sufficiently slowly for the road conditions, and although defence counsel attempted to have this opinion evidence dismissed as not properly admissible since he was only a lay witness, the judge did not accept defence’s argument. Witnesses to the accident submitted that they saw the defendant’s vehicle swerving right, then left, then crossing into the path of the plaintiff’s car at great impact. It was noted that the plaintiff was travelling quite slowly but witnesses observed that the defendant was driving noticeably faster. The trial judge concluded that the defendant’s excessive speed, given the dangerous road conditions, were contributing causes of the accident. The Municipality of York and the defendant driver were found equally negligent and therefore shared liability, fifty-fifty, in the plaintiff’s damages. At the time of the accident, Ms. Thornhill was a physically active young woman, a full-time nurse who loved her job, and the mother of a toddler. The accident substantially impacted her active and high-achieving lifestyle. She has experienced varying degrees of chronic pain, numerous surgeries, a diminished ability to perform as a mother, depression, anxiety and a fear of driving in inclement weather conditions. Her physicians anticipate that her knee fractures will continue to seriously effect her ability to function, beyond the damaged joint. Since the accident and following her initial surgeries and rehabilitation, Ms. Thornhill is able to work only part-time, and requires help in the home. She will likely require three revision surgeries in the future, but these are expected to have a diminishing outcome as she ages. The judge in this case found the plaintiff to be a particularly credible witness, and her testimony was never seriously attacked. Also, there was agreement among the doctors and rehabilitation specialists who assessed and treated her, in terms of the future difficulties and limitations that she has and will continue to face. Her injuries were judged to have significantly impacted her employment options and enjoyment in life. In recognition of her continued pain and suffering and the effect on her life, the judge awarded the plaintiff $225,000 in general damages. The plaintiff’s husband and young son were awarded $35,000 and $25,000, respectively, in claims under the Family Law Act, for the loss of care, guidance and companionship of the plaintiff. Total damages awarded to the plaintiff were $1,875,300. In addition to the general damages and family law claims, this total included almost $1,040,000 for lost income (past and future) and $481,500 for future care costs. There were also damages awarded for additional losses due to surgery, future pension losses and moving costs.